Both the boys and girls teams dominated for Palo Verde as they cruised to region titles. 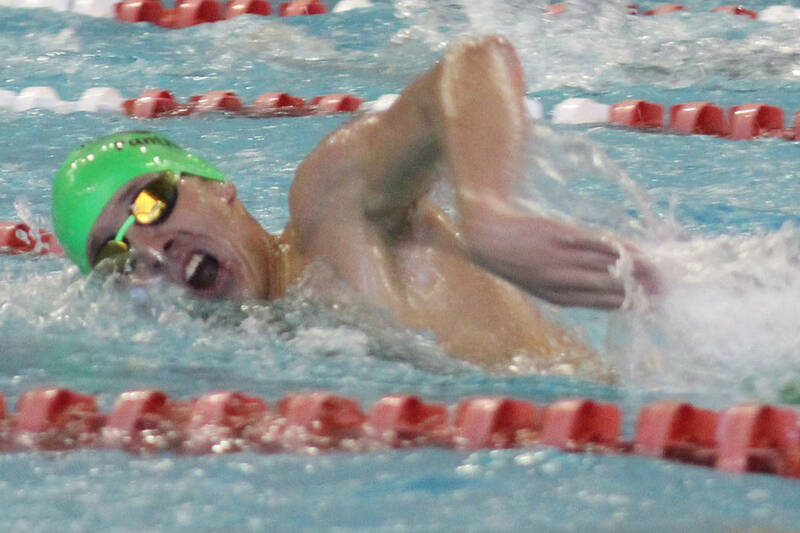 Five-time boys defending state champion Palo Verde didn’t get off to the best start Friday at the Class 4A Sunset Region swim meet at the Buchanan Natatorium at UNLV. In the first boys event of the day, the Panthers’ 200-yard medley relay team was disqualified before the race started for delay of the meet. But that blemish hardly slowed Palo Verde from dominating the rest of the meet on the way to taking the team title with 509 points. Bishop Gorman was second with 314 points and Shadow Ridge was third with 196. After the disqualification disappointment to start the day, the Panthers boys 200 freestyle relay team bounced back strong, as they blazed to first place and set a Sunset meet record. Dylan Sweikert, David Miller, Ren Prescott and Harrison Trent teamed up to post a time of 1 minute, 28.67 seconds to top the prior mark by more than a second. Trent said the Panthers were angry about the disqualification and took out their frustration in the other relays. Palo Verde kept their fury stoked with another record in the 400 freestyle relay, as Sweikert, Miller, Braeden Werwinski and Ahmed Mohamed teamed to eclipse a nine-year-old record, taking first with a time of 3:16.34. Trent and Sweikert finished 1-2 for the Panthers in the 50 freestyle, with Trent winning by 0.10 with a time of 21.80. Trent followed that up with a first-place finish in the 100 freestyle (47.60), and Miller won the 100 butterfly (50.57). Tama Tuitama of Legacy set a meet record in the 200 individual medley, finishing in 1:52.32, and he won the 100 breaststroke in 51.76. In the girls meet, Palo Verde dominated behind dual winners Madi Lauger and Victoria Gutierrez. Palo Verde posted 458 points to outdistance Gorman (284), Desert Oasis (225) and Sierra Vista (222). 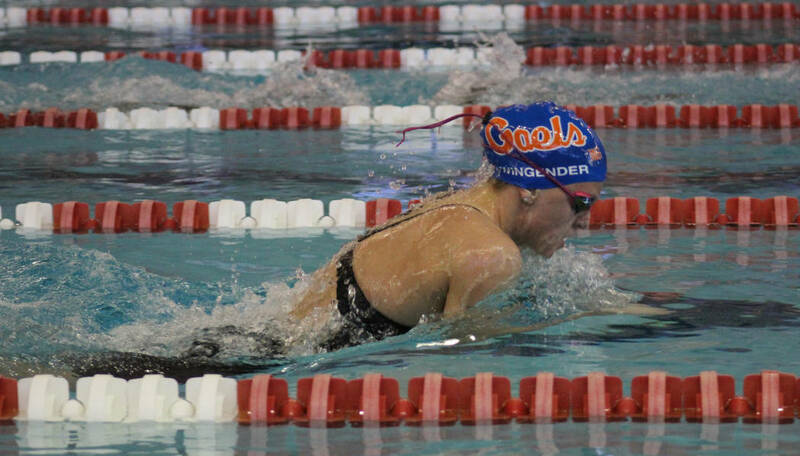 Lauger won the 100 butterfly with at a time of 56.85, and the 200 yard individual medley in 2:05.64. Gutierrez took first in the 50 freestyle (24.30) and the 100 freestyle (52.48). Stephanie Platt won the 200 yard freestyle (1:55.40), and Portia Blackert took first in the 500 freestyle (5:12.45) for the Panthers. Lauger said the girls team is in a good position to attempt to win state for the fourth straight time.